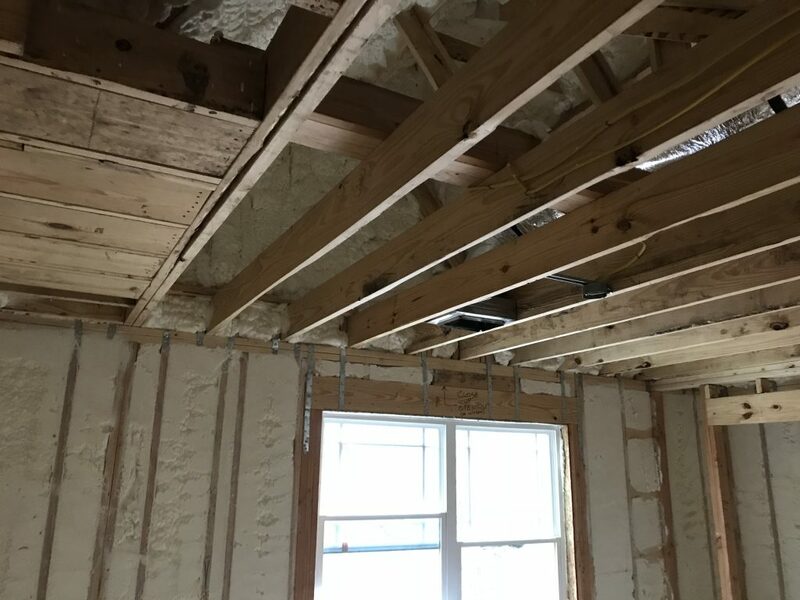 We were pretty lucky to be part of this spray foam insulation project. …Disaster can strike if we don’t get the science right in modern homes. My new house technically has a crawl space under it although the space is actually eight feet tall. 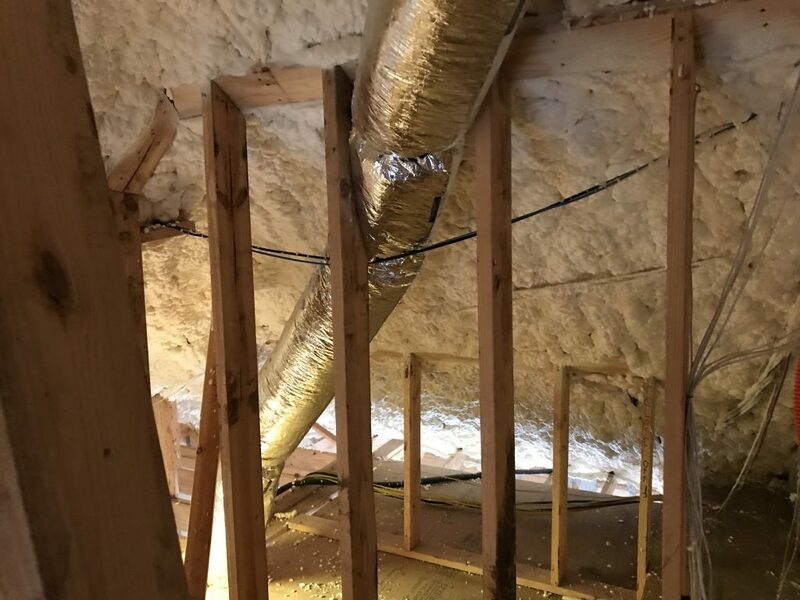 I like to call it my “Texas Basement.” It has air vents to allow outside air to move through the crawl space year round. Along the Gulf Coast where hot humid air is free to roam under and around the house I needed to do something to keep nature at bay when it comes to vapor migration from below. As a side note, our friends to the east at the LSU Ag Center have done a great deal of research on raised floor construction and how to apply science to modern home building. Louisiana has had their fair share of flooding over the years and the techniques highlighted in their “La House” project are great examples of how to build correctly along the Gulf Coast. I have applied some of these ideas in my own house. For raised homes there are really only two ways to successfully install a true vapor barrier on the bottom of the first floor. You could install a one inch polystyrene insulation board like the blue DOW products. You have to be meticulous about the details though. All the seams between boards must be sealed up with tape to prevent air (and vapor) from entering the floor cavity. All penetrations need to be sealed up as well. If there is one gap or hole vapor can enter and do the things we discussed earlier. The only other way to seal up that floor cavity is with a closed-cell spray foam. Spray foam is more expensive but it will seal all holes, cracks, and crevices in the floor assembly. I had closed-cell foam installed under my house. So where do we get this stuff? 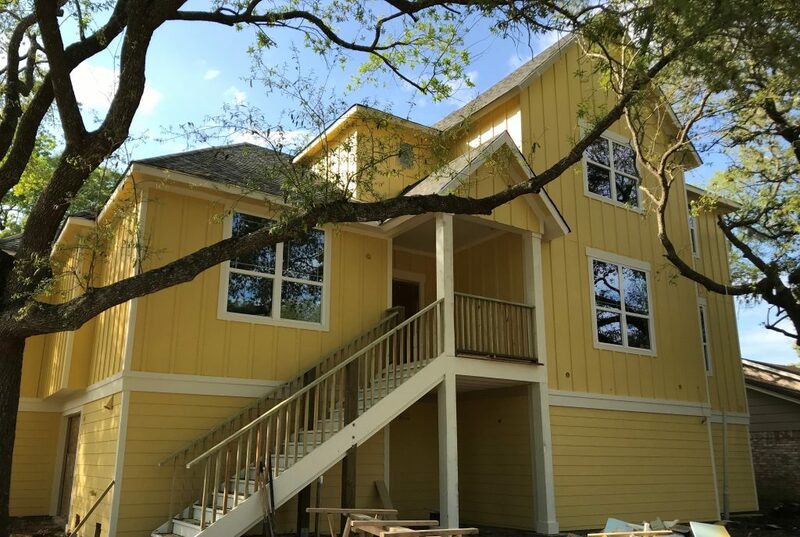 Accella Polyurethane Systems make a variety of spray foam products for numerous industries including home building. 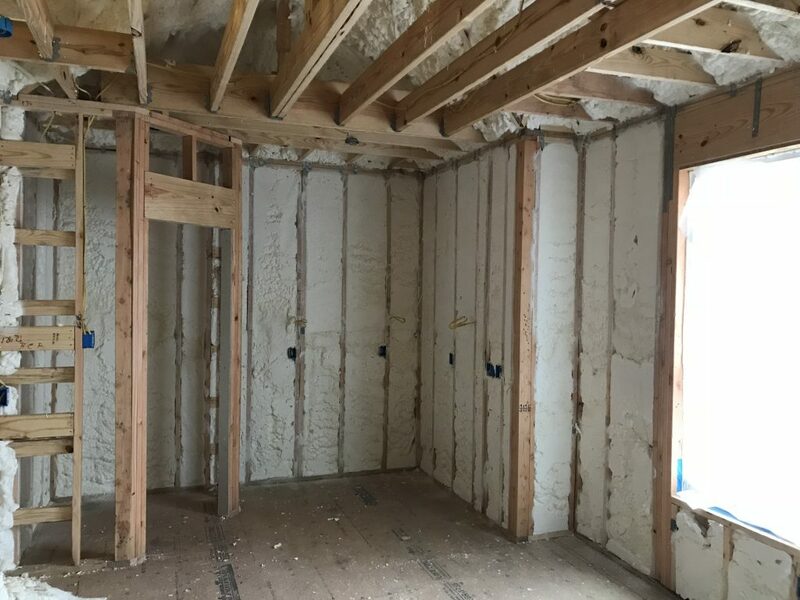 Spray foam insulations allow new homes to be insulated in ways that traditional methods just can’t do. The greatest advantage is the foams completely fill the spaces they are placed in – leaving no holes or gaps where air could migrate into the house. There are two different types of foam used on my house for two different insulating jobs. The ceiling of the basement, or the bottom of the main floor, has been covered with about two inches of a closed-cell foam. That’s about R-14 worth of insulation. Closed-cell foam is also very dense. It’s a very hard material once it sets up. It actually adds stiffness to the structure because it is so rigid. It weighs about two pounds per cubic foot of material. Closed-cell insulation by itself makes a great air and vapor barrier while also providing excellent R-value per inch. So this simple solution will stop vapor from sneaking into my house through the floor system while also providing excellent thermal properties. 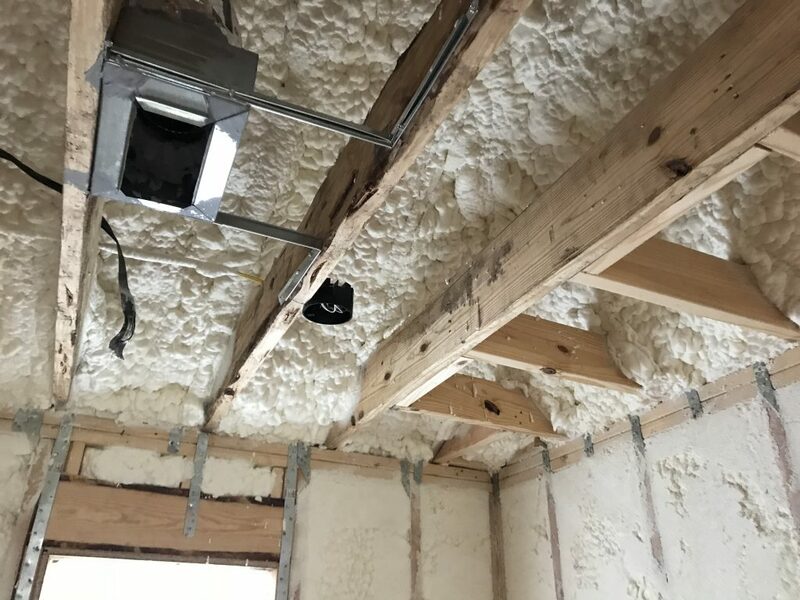 Closed-cell’s cousin is Open-cell spray foam insulation. 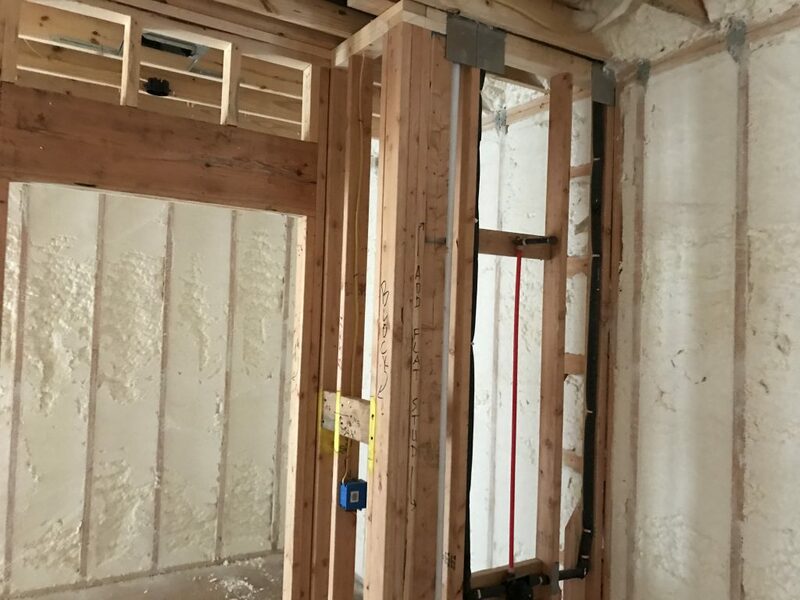 I had this installed in the 2 x 4 exterior walls and on the bottom of the roof deck of the house for insulation purposes (about R-3.7 per inch and about 1/2 pound per cubic foot of material). So I have now encapsulated the entire perimeter of my home with foam insulation. 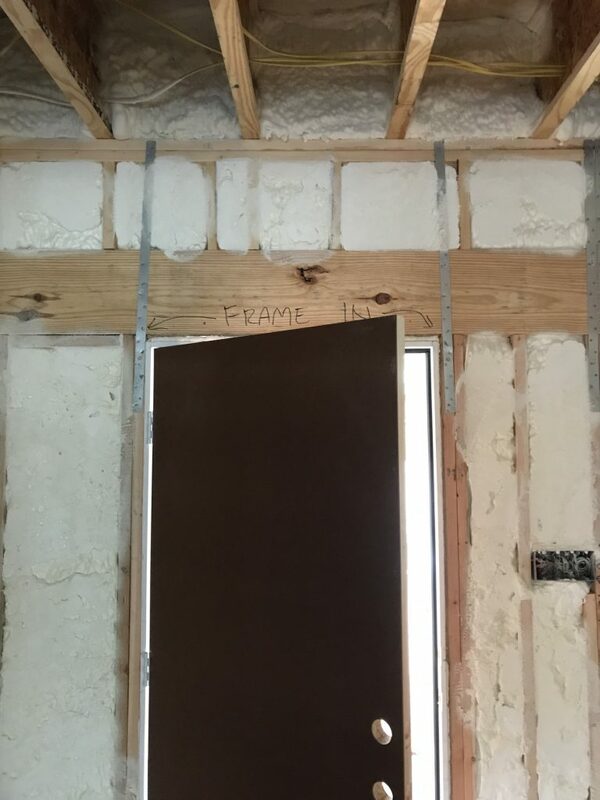 At 3 1/2 inches open-cell foam also makes a nice air barrier. It won’t let air easily migrate through the wall cavity. (As a matter of fact, to see how well the foams did at sealing up the house we did a blower door test on my house the day after it was foamed and it tested out at 2.1 Air Changes per Hour or “ACH”. We will discuss this more in a future post.) 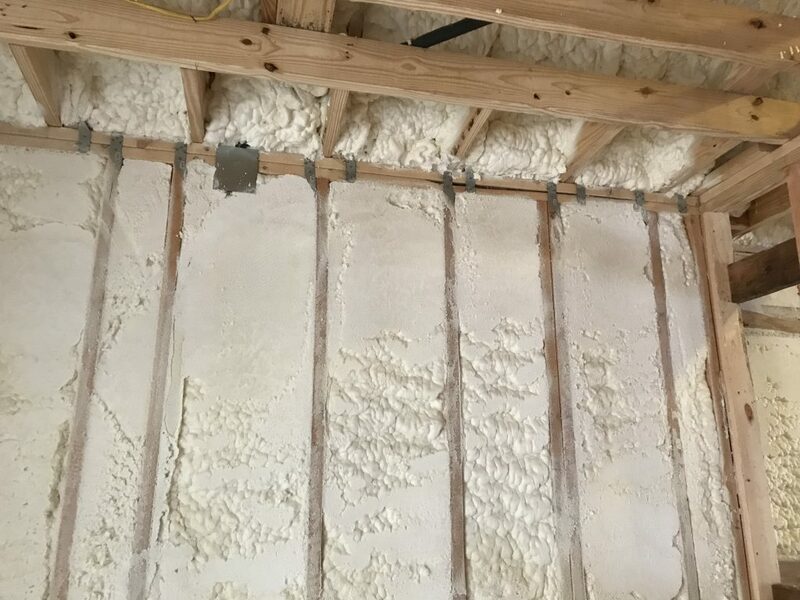 Open-cell foam should not be used as a vapor barrier under raised homes. Water molecules can work their way up through the pores of the foam. So, I kind of got a “two-fer” on my house when it comes to spray foam insulation. The closed-cell product has great R-value per inch plus it really sealed up the floor assembly so vapor can’t wreck havoc on down the road. 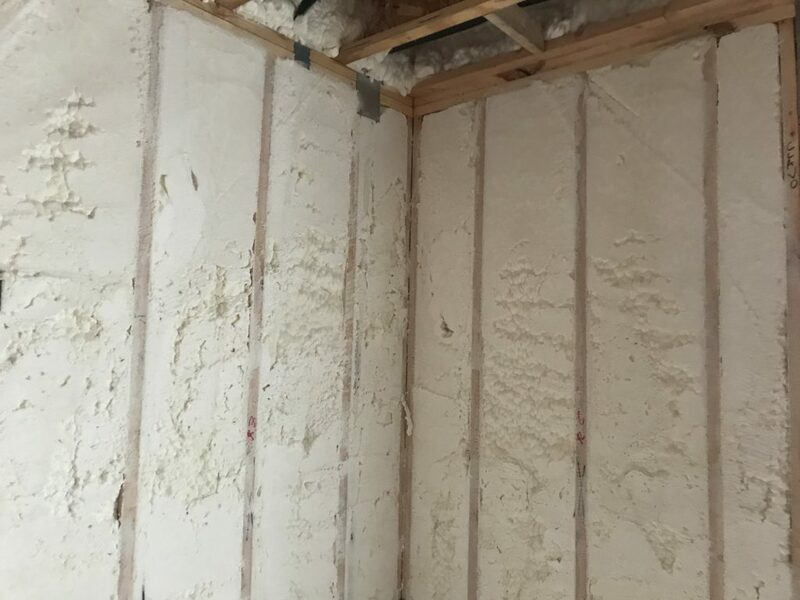 In the walls and roof assemblies the open-cell foam provides an excellent thermal barrier while sealing up all holes and seams to almost eliminate air migration. Modern home building ain’t the way daddy built his house decades ago. Shoot! It ain’t the way we built homes just five years ago. 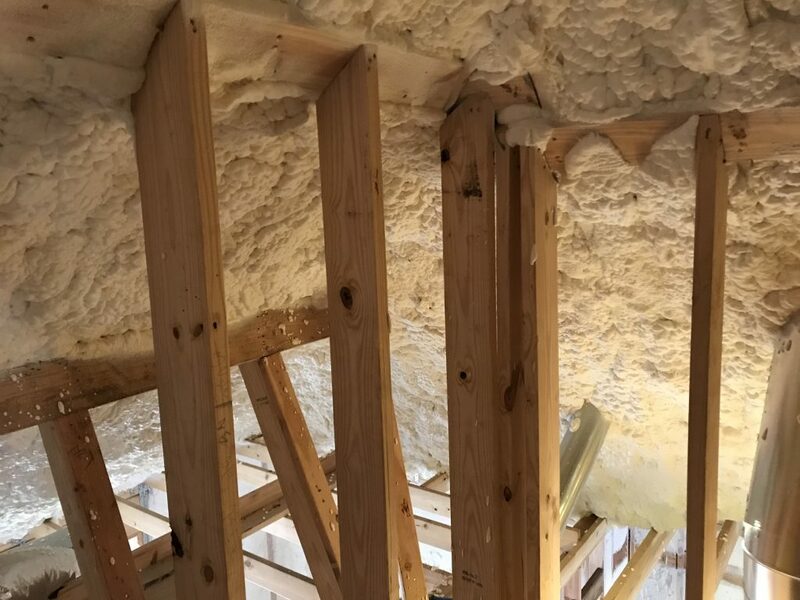 Spray foam insulation is a great tool that allows home builders the ability to meet the challenges of modern building codes and clients who want much more energy efficient homes. 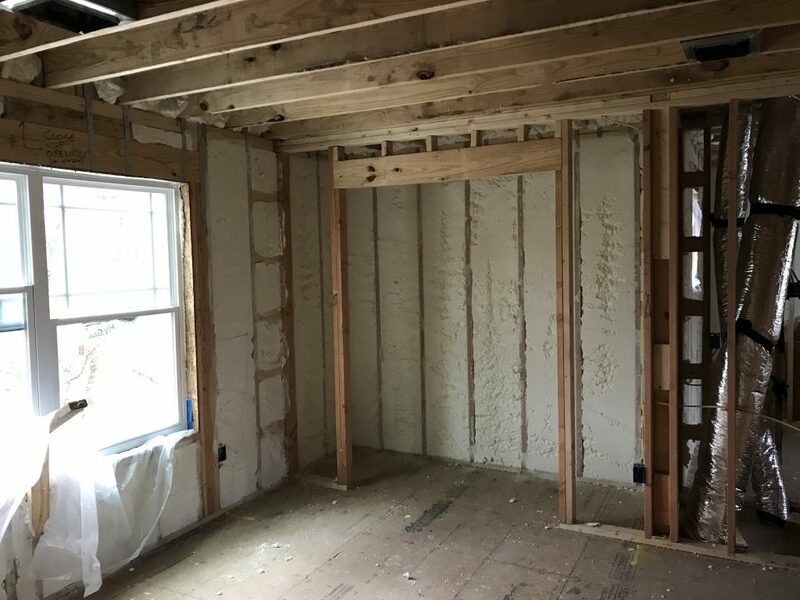 Spray foam insulation – look for it in a new home near you.